The Registration "2019 Tri County League Team Pages " is not currently available. As we continue to grow the sport and offer more programs we decided to put ALL programs offered on one site with the hope of minimizing confusion. Currently there are 12 programs offered. From ACE and background checks to scholarships. Please check back often. *If you can't edit your page it means I couldn't find your NGIN user name. Please read ALL the steps below in the getting started section before you email me AND with all of your information requested below. Edit button on this site is found on the lower left of page. Coaches, the first thing you'll notice to the team pages is that I have created a team template to get you started. Minimally all you have to do is to update your contact information by clicking on the edit button. However, if you want to be more creative you can edit your team page anyway you like. If you coached last year at any level in Tri County and had an NGIN account you are already set up. You do NOT need a new account for each team. 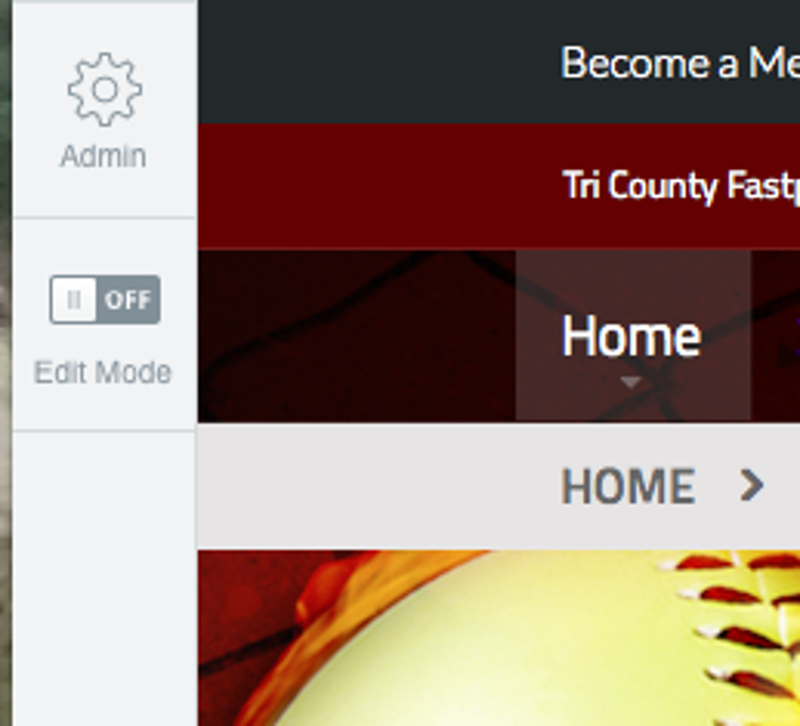 OR if you have an existing NGIN account through any other sport including other fastpitch leagues a welcome box will appear in the upper left corner and say "welcome (your name)" "link your existing NGIN account to Tri County? Click on Become a Member" It's that simple. After you have joined, contact your association director first. Many directors have editing access and can assign you to your team page. IF not, please send an email to tbye@JOsoftball.com so Tom knows your registered. I'M A NEW COACH WHAT IS MY NEXT STEP? HERE IS A BRIEF LIST OF ACTION ITEMS YOU NEED TO DO FOR TRI COUNTY. YOUR ASSOCIATION MAY HAVE SPECIFIC THINGS TO DO AS WELL. Refer back to coaches corner page often! Most questions are answered there. After you have joined, contact your association director first. Many directors have editing access and can assign you to your team page. Or E-mail Tom Bye to tbye@JOsoftball.com to obtain editing access to my team page IF coaches were selected after registration. Edit Team Page and personalize for your team, add team logo, pictures etc. Enter "my contact" information. Priority! Enter my team manager and/or assistant coaches information if you have one. Grant editing access to your team page to your assistant coach or manager if you prefer. Enter player roster on your Tri County team page. This is used for tracking on-line stats only. This is meant to be fun for the players! Add my HOME field location and URL on my game schedule. *This only takes 5 minutes at the beginning of the season. i.e. RCF #1. It will save you a lot of calls and e-mails. If I am the HOME team I need to enter both games box scores within 24 hours. After that EITHER team can enter scores. Tri County plays by the USA Rules. However, there may be some weekend invitational tournaments that you will have to follow their rules. Rule books were given to all coaches at the start of the season. Tri County specific rules are found on the Tri County web site and in the Scorebook provided at the start of the season. In the event of a rain out or any cancellation, notify MY associations umpire coordinator (or designated contact person) ASAP in order to cancel the umpire. If you don't know this contact your traveling director. Most assignors are listed in the score book too. A state law in 2011, all coaches and officials must be trained in concussion awareness. On the Tri County home page there is link. This is mandatory. All coaches should have standard practices for playing in any tournaments: Bring "Generic" Official roster which includes USA with parent signatures. Proof of ACE certification, Concussion certificate. Birth Certificates with ID. What to bring to the Tri County Qualifier: A signed copy of your roster and your players birth certificates and photo ID of player. (copy photo on birth certificate). Gate fee and balls are part of the league fee. HELPFUL TIPS FOR YOUR TEAM PAGES. 4. Change Team name: Name= Header on Team Page, Short Name= Left Column menu. 5. In same menu you can Add Logo and change your team colors. Answers most of your web site questions.